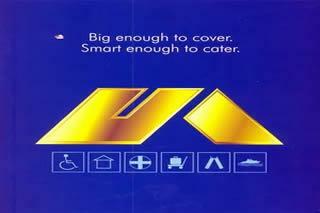 United India Insurance Company Limited is a Public sector Insurance Company in India (Established 1938). It was nationalized in 1972 by the merger of 22 companies. It includes 12 Indian Insurance companies, 4 Cooperative Insurance Societies and Indian operations of 5 Foreign Insurers, General Insurance operation of Southern region of Life Insurance Corporation of India. Headquarter of United India Insurance is at Chennai. The company has a broader perspective in terms of its growth and it has well trained personnel who are trained in its Nalanda School of excellence, Chennai. The company has maintained as the second largest public sector insurer in India. It has 1340 offices with about 18300 workers all over the India. Offices spread over 200 towns and hundreds of villages. The company offers insurance converges from bullock carts to satellites. Its Insurance policies covers more than 1 crore policy holders. The company has prompt online complaint and grievance redressal systems for general publics (consumers). a)	Standard Fire and Special Peril Policy- this covers building, machinery, stock and furniture. b)	Fire Loss of Profit Policy – it covers business loss due to stoppage of business in the event of an insured peril and additional expenditure incurred by the insured during the affected period of business. There are six different policies in this category. These are family medicare, Gold, Platinum, Senior citizen, Super Topup and Topup. The policy in this category is called Motor Package & Liability Policy – it covers all types of vehicles excluding vehicles running on rails. This is for the interest of the employer in the money and property lost due to the infidelity of the named employee.